Why would we design all problems and facilitation in a similar way without having the type of problem identified? It’s possible I’ve been a bit too broad-brush when describing Problem Based Learning (PrBL) in terms of task design and facilitation. I’m beginning to wonder if we need a taxonomy of problems. After all, every problem implemented in a classroom will have different intended outcomes which can affect the design and facilitation of the task. After a while, you start to notice the similarities and patterns that like problems attend to. You also notices the differences. What I have not encountered, thus far, is a way of classifying the problems, which I think would make it easier to design, facilitate and assess. Once you have the problem type identified, that may allow you to use different tools, templates, rubrics, etc. around which the task may be designed. Maybe it would be better if I just got to it. Consider this an attempt at Problem Taxonomy. These are problems that foster new knowledge within students. These are problems that have a predetermined, content-oriented outcome. 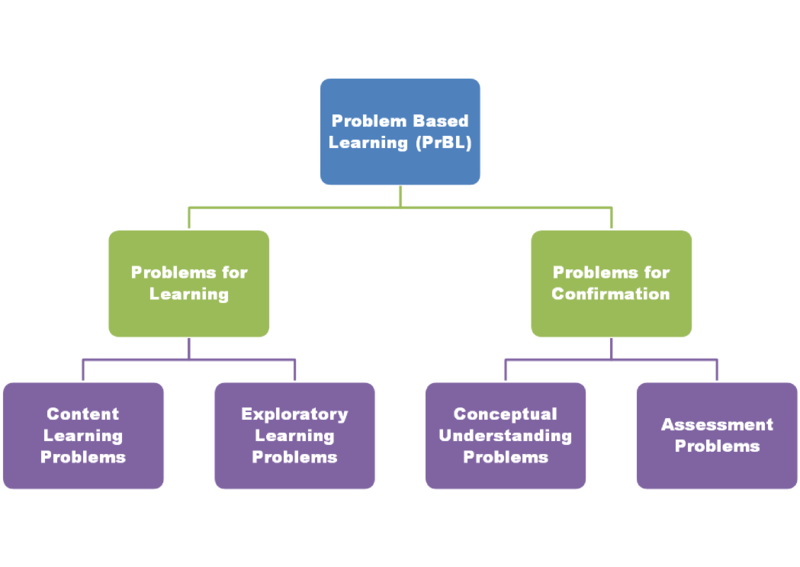 Most of the time, this is what is often meant by Problem Based Learning. Or at least, it’s what I’ve basically meant in the past. Content Learning Problems are directly tied to a specific standard or standards. Scaffolding is often planned by the teacher ahead of time. Students work collaboratively and plan, strategize, struggle, and are coached toward a solution with the aid of the teacher. These may take 1-3 days. These are problems that may foster new knowledge within students, but there is not a specific content standard tied to it. Although, Mathematical Practice standards, such as those defined in the Common Core, or Bryan’s Habits of a Mathematician truly shine in this type of problem. 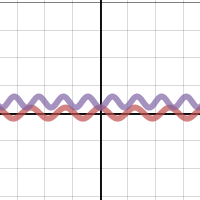 The solution and solution route may be unknown by the teacher. Related, the teacher may not have the scaffolding planned or predetermined until the need is made manifest. There is no prescribed method toward a solution and collaborative groups may have differing solutions and solution routes. These may take 1-5 days. Some may even call these “projects”. These are problems intended to stand by themselves with minimal assistance or facilitation by the teacher. Students are to demonstrate the knowledge they have gained through Problems for Learning. I should note that, despite the naming convention, these problems don’t necessarily preclude learning opportunities. These are where a student puts the pieces together and begins to speak fluently about the content. If there was any confusion about the mathematical concept before, it’ll get crushed here. The scaffolding is quite intentionally student-centered with the specific intention of getting students to discuss the mathematics. Possibly the problem itself is more purely mathematical, or at least along the Skynet Line. 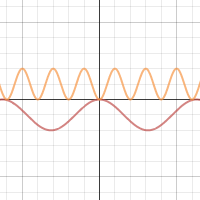 Technology such as Geogebra investigations may be involved in order to solidify reasoning. These may take roughly a day or two. Don’t tell the school district I worked for, but I once gave a single problem for my final exam of the year. It was a problem adapted from one of the Dana Center’s Assessments. I said, basically, “here’s your problem, you have two hours to show me what you’ve got. Now go!” The subtext of which was, “according to district rules, this single problem will count for 25% of your grade for the semester.” That’s basically what this kind of problem entails. Possibly solved individually, these problems are tied directly to content, require some decoding, and offer a chance for all to excel. I’d doubt there would be a presentation involved. Ideally (unlike in the scenario I described above), there would be some formative feedback or revision process before a numerical grade is attached. The point is, these are problems where students should know the content involved and be able to explain it with great fluidity. So what do you think? Does this taxonomy work for you? Obviously the fine Art of Teaching necessitates that many of these types of problems overlap and intermingle. But in the design of a task, it’s important that you determine exactly what the outcomes should be. Are you constructing new mathematical knowledge within your students? Are you offering a place of creativity and non-linear thinking? Are you solidifying knowledge (Jo Boaler refers to this as “compression”)? Are you assessing understanding? Until you answer these questions, I’d suggest you can’t really fully develop the task. In the next post, I’ll talk about what and ways to assess each of these types of problems. 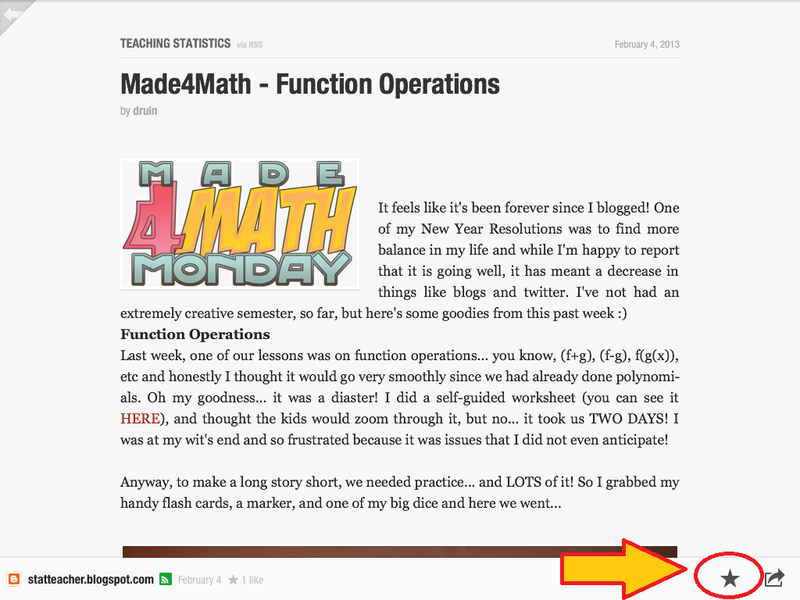 One of the reasons I solicited everyone’s input on the 2012 Math Blogging Retrospectus was because I have such a problem keeping up with the steady stream of quality math blogging that gets posted every day. 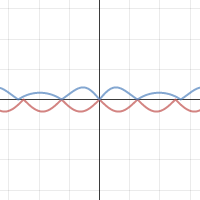 While I wouldn’t say I’ve entirely solved the problem, I do have a quick little lifehack I’d like to share that (so far) has allowed me to keep relatively up to speed on the fast-n-furious math blogging action. That lifehack starts with the Flipboard app, available and free on iPad, iPhone, Kindles, Nooks, and Androids. It ends with Google Reader. 1) Download Flipboard for free on whatever device you use. 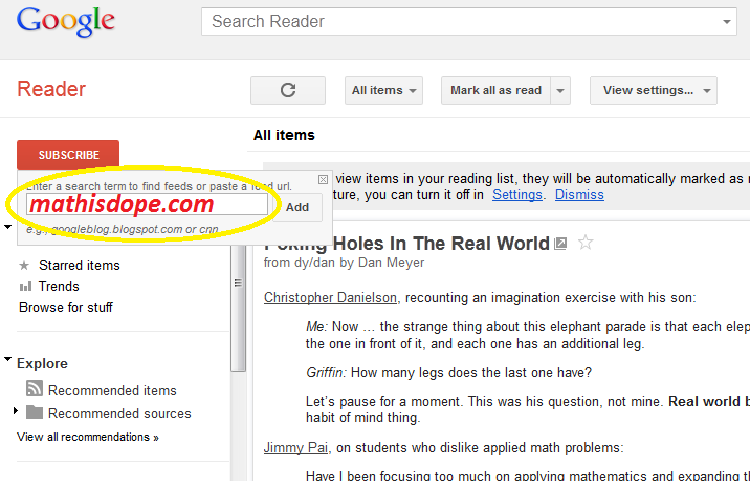 2) Toss every math blog you like to read into the Google Reader Subscriber. DON’T start tossing in other lesser blogs or NY Times ‘The Caucus’ or anything like that. Nothing that generates that much content, please. Use something else for that. 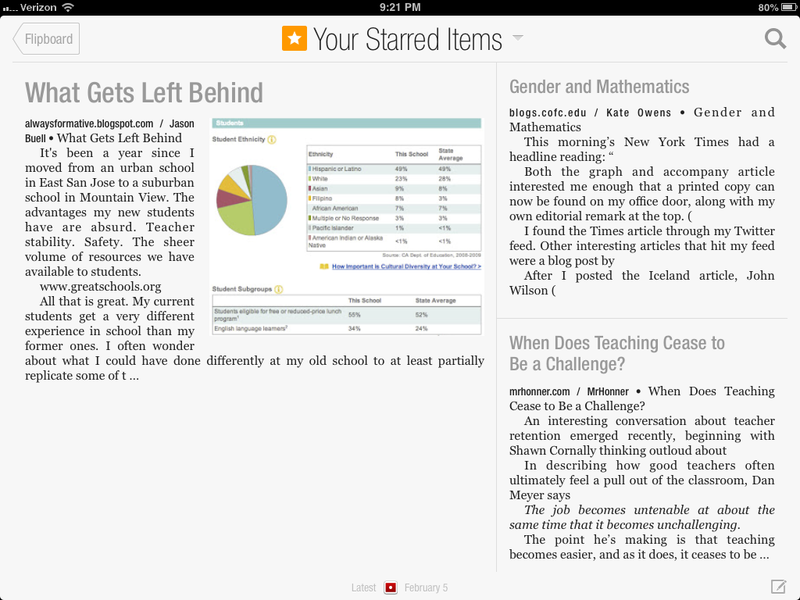 We’re devoting our entire Google Reader to Math Blogs, thankyouverymuch. 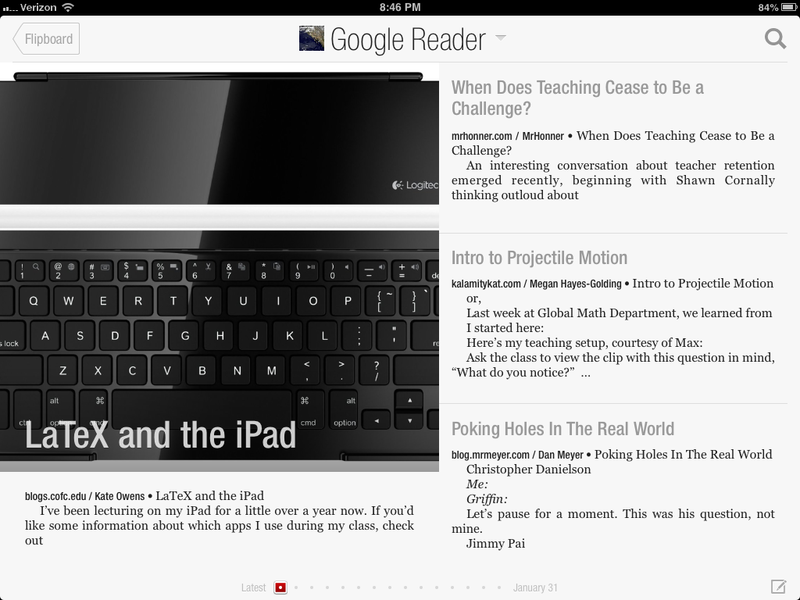 3) Sync Google Reader to your Flipboard, and voila! You can quickly catch up on the days’ reads you missed. You can flip through quickly, looking for topics of interest or cool cover photos. Bonus) Speaking of the 2012 Math Blogging Retrospectus, remember how difficult it was to go back through the year and find stuff from, like, February? Well, let’s use the ability to “star” your favorite posts in one touch. This way, in December of this year, when I solicit your favorite reads from the year, you won’t have to go searching. Start favoriting now! Be proactive and such! And you’ll have it for yourself, which is always nice. So that’s how I’m keeping myself on top of my math blog reading thus far this year. If you don’t use this technique, I highly recommend having some technique. Because there’s so much good stuff going on out there, you don’t want to miss it.